Mickey Jo Pickle-Cupp was born April 15, 1956 in Edmond, OK to Wilbur & Wilda Pickle. 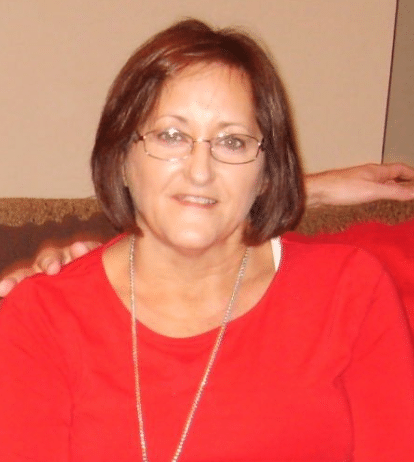 She passed away on January 19, 2019 at her home in Yukon surrounded by her loving family. Mickey grew up in Dover Oklahoma and was the Salutatorian of the Dover High School class of 1974. Mickey married Steve Cupp on June 20, 1975 at the Christian Church in Kingfisher Oklahoma. Together they have enjoyed 43 years of marriage. On July 28, 1979 a son Nicholas was born into the family. On February 19, 1983 a little girl Pamela was born. Mickey worked for The Center of Family Love for several years and also owned and operated a Sears Catalog Store in Kingfisher for a few years. On December 15, 2000 she received her Bachelor Of Science degree from the University of Central Oklahoma. Mickey went to work for DDS in April of 2007 and retired in September of 2018. Mickey was a very compassionate lady and a strong advocate for the people she worked with. She was greatly admired and respected by her coworkers as well as others she associated with through DDS. Throughout the years God blessed Mickey and Steve with six grandchildren….each one she adored and so enjoyed spending time with. · Six Grandchildren – Shelby Cupp, Austin Cupp, Jaxon Cupp, Christan Delacruz, Calob Worley and Jacob Worley. · One uncle, four aunts, a number of nieces and nephews and a host of cousins and many friends. Memorial Services are Saturday January 26, 2019 At 3:00PM At Yukon Church, 11715 NW 10th Yukon, Oklahoma. Deepest prayers to Ssteve and family. We will miss her sweet smile and gracious love for everyone. Ours heart goes out to all. God put his loving arms around you and keep you in his heart forever. God Bless you Steve. I know you will miss her but she is in God’s living arms. Deepest prayers to Steve and family. We will miss her sweet smile and gracious love for everyone. Ours heart goes out to all. God put his loving arms around you and keep you in his heart forever. God Bless you Steve. I know you will miss her but she is in God’s living arms. Always admire her as a beautiful strong woman who I always looked up to and always will.